The MSE Equity Price Index trended lower for the first time in four days as it slipped by 0.57% to 4,715.012 points. The main driver of Thursday's drop was the decline in BOV which, coupled with the losses in RS2 and Main Street Complex, outweighed the gains in five other shares. Meanwhile, BMIT, MIA and Plaza closed the day flat. The total value of equities traded remained virtually unchanged from Wednesday at €0.51 million. 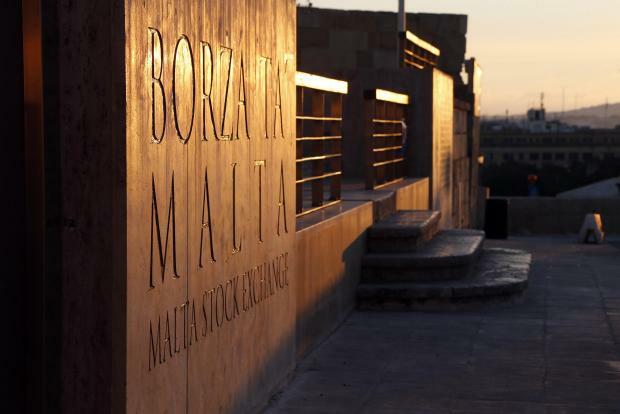 Following the strong gains registered in the previous three trading sessions, the equity of Bank of Valletta plc retracted by 5.2% back to the €1.38 level on activity totalling 77,144 shares. Shareholders as at close of trading on June 6 will be entitled to one bonus share for every 10 shares held. Also among the large companies, RS2 Software plc slipped by 1.4% to the €1.40 level across 54,000 shares. In the property segment, Main Street Complex plc lost 1.6% to close the day at the €0.63 level on 44,400 shares. In contrast, Malta Properties Company plc surged by 4.9% to the €0.64 level (the highest since end of November 2015) across 42,250 shares. On Wednesday, MPC published its 2018 financial results revealing a significant improvement in profitability to €10.6 million largely due to the gains made on the sale of property as well as the upward revaluation of other real estate holdings. The directors are recommending a final net dividend of €0.01 per share to all shareholders as at the close of trading on May 9, 2019. FIMBank plc regained the $0.70 level (+1.4%) across 109,450 shares while a single deal of just 1,000 shares lifted the equity of HSBC Bank Malta plc 0.6% higher to the €1.64 level. FIMBank is scheduled to publish its 2018 full-year results on March 23. PG plc added 0.7% to recapture the €1.38 level across 47,122 shares. The other positive performing equity was GO plc as it moved 0.8% higher to the €4.94 level albeit on insignificant volumes. Low trading activity also took place in Malta International Airport plc which maintained the €6.55 level on 1,500 shares. BMIT Technologies plc traded unchanged at the €0.52 level on improved trading volumes totalling 194,700 shares. Two deals totalling 17,100 shares left the equity of Plaza Centres plc at the €1.02 level. On Thursday morning, MIDI plc announced that its board of directors is scheduled to meet on April 25 to consider and approve the company’s financial statements for the year ended December 31, 2018. The directors will also consider the declaration of a dividend. The equity remained unchanged on Thursday. The RF MGS Index jumped by 0.18% (the sharpest gain in nearly two weeks) to 1,111.895 points as bond yields across the globe moved sharply lower after the US Federal Reserve on Wednesday indicated that it does not expect to raise interest rates this year compared to the earlier projection of two interest rate hikes. Furthermore, the central bank lowered its GDP growth forecasts for the US economy in 2019 and also said that it would start slowing the pace of its balance sheet reduction programme in May. Stock markets are volatile and subject to fluctuations which cannot be reasonably foreseen. Past performance is not necessarily indicative of future results.